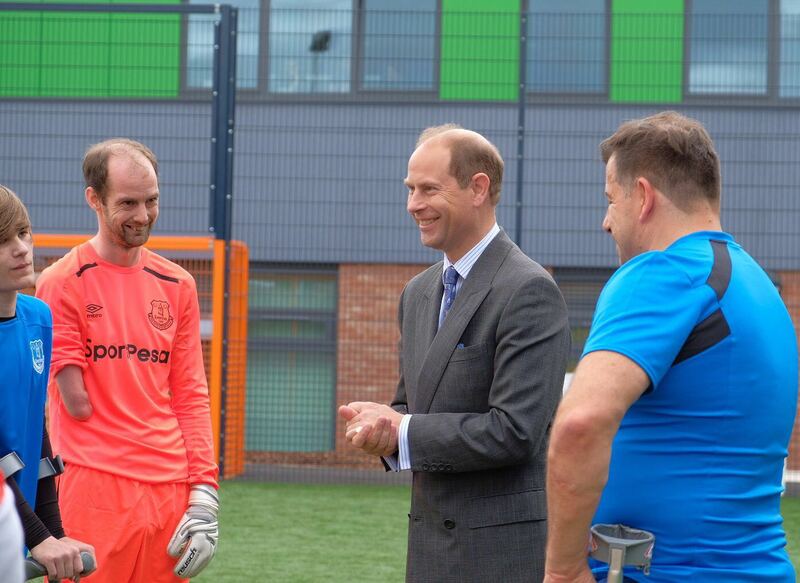 The Earl of Wessex has spent the day in Merseyside for a day of engagements. The day started at Mariner's Park, which is a home for retired seafarers, of which The Earl is President. The Earl had the chance to tour the Mariner's new centenary building, and meet some the architects and builders who worked on the project. At the Cruyff 3G Football Pitch, The Earl met the Amputee Football Team who are coached by former English national player, Steve Johnson. His Royal Highness also joined in with the Brunswick Youth and Community Centre's 70th Birthday celebrations. The Earl's visit finished at The Bluecoat, Liverpool's centre for contemporary arts, which is a place to showcase talent across visual art, music, dance and literature. It is also Liverpool's oldest building and celebrated its 300th birthday this year.